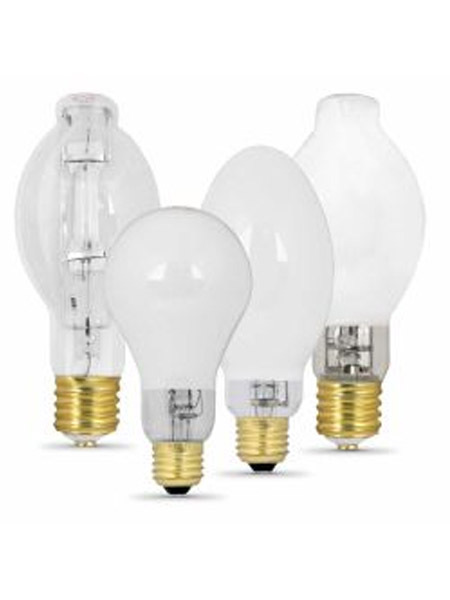 High Pressure Sodium light Bulbs are energy efficient and offer long life. 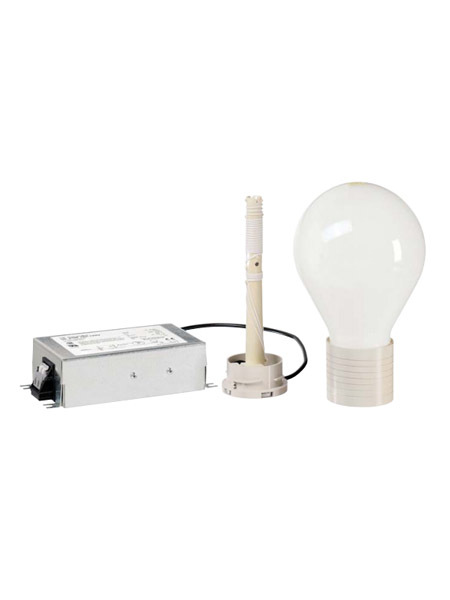 Compact, lightweight, high-frequency QL system for fluorescent induction lamps. 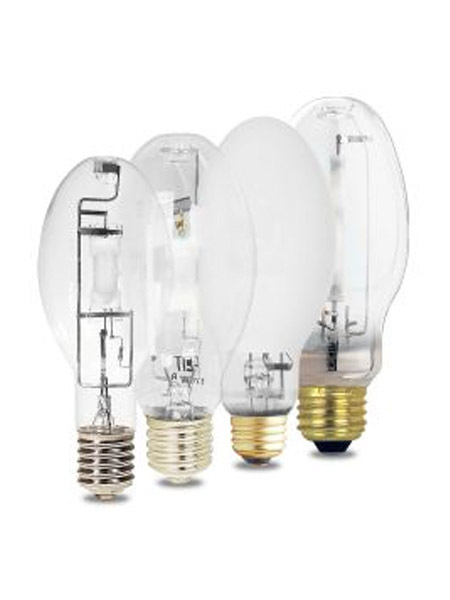 High Intensity Discharge lamps (HIDs) share a number of important qualities – including high efficacy and a long life – that combine to make them the most efficient light source for a wide range of different commercial and industrial applications. 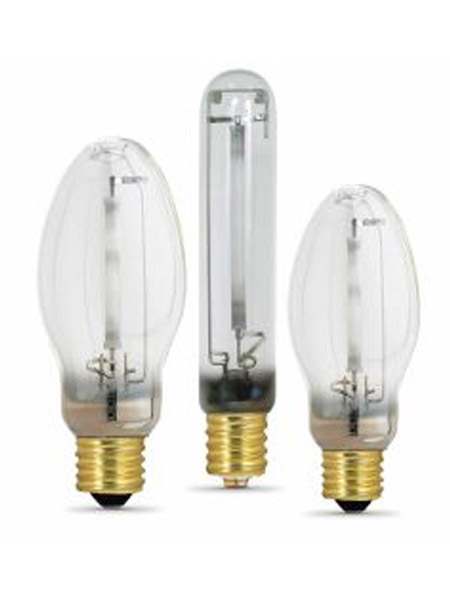 HID lamps are similar to fluorescent lamps in that they are gas discharge lamps. 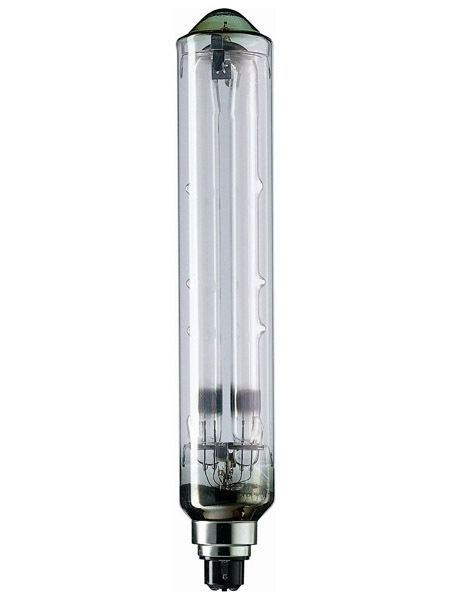 The arc tube, made from Quartz glass or ceramic materials is located within the ‘jacket’ of the lamp and contains electrodes at either end of the tube. The arc tube generates light when the electrodes at either end of the tube initiate an electrical arc. This excites the pressurized sodium or metal halide gasses causing them to emit light. Like fluorescent lamps, HID lamps require a ballast to operate. The primary role of the ballast is to supply the correct starting and operating voltage to initiate the arc, and to regulate current and voltage to sustain the arc once illuminated. When ignited HID lamps take time to warm-up and reach full luminance. Any interruption of input power or a sudden voltage drop may cause the arc to extinguish. Hot HID lamps will not restrike immediately. Prior to restrike, the arc tube must cool enough to reduce the vapor pressure within the tube to a point where the arc will be able to reestablish itself. The typical warm up and restrike times of HID lamps are below. Light Source Warm-Up Time Restrike Time.